KTM is Europe’s largest motorcycle manufacturer and the market leader in the motocross and enduro sector around the globe – including in the UK. KTM has its roots firmly planted in offroad competition where the Austrian firm has amassed over 300 world championship titles. These have mostly been won with offroad machinery, including achieving huge success at the notorious Dakar rally, in the MXGP Motocross World Championship, in AMA Supercross and in Enduro. KTM is relishing in the opportunity to get close to the offroad racers, fans and spectators at the 2018 HydroGarden Weston Beach Race. With KTM’s brand promise ‘READY TO RACE’ in mind, staff from KTM UK competed in the gruelling 2017 HydroGarden Weston Beach Race three-hour solo race, and will do so again in 2018. The best way for KTM UK’s management and staff to be engaged with their customers is by lining up on the beach with them and getting amongst the action. For spectators, the Orange brand will create a KTM Village on the promenade with a huge set-up including a number of displays and teams, as well as the very latest KTM motorcycle range. KTM will also host racers such as Robbie Maddison, whose signed bike will be given away during the course of the weekend in a mammoth competition! 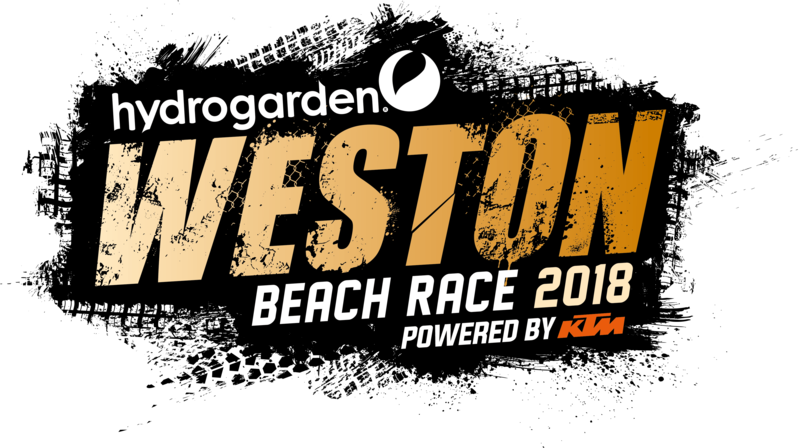 For RHL Activities having KTM as partner of the HydroGarden Weston Beach Race is paramount. Industry support for this growing event is vital, and KTM is also encouraging new people to take part in the sport – something that RHL Activities has always been keen to promote. For those attending the race, make sure you head down to the KTM Village to see what’s on offer.